Encouraging people to take up wildlife care seriously can be a daunting task owing to the emotional preferences involved. You can easily make indent in mindsets by gifting away these custom 3.25x 3.125 in paw shape full color wildlife care magnets 20 MIL. The paw shape reminds recipients about being soft to their pets or other animals and encourages them to take up the cause seriously. This high quality laminated magnet works perfect for everyone in pet care, wildlife care or animal care businesses due to its enriching shape. 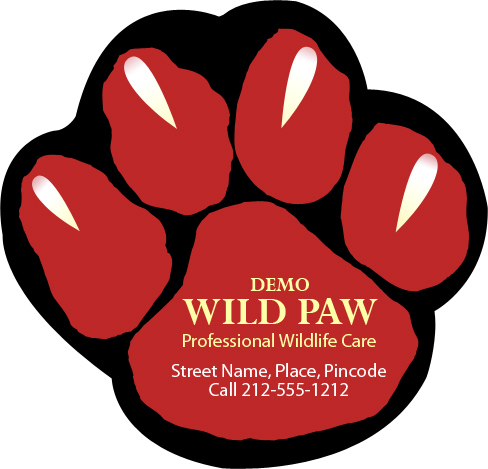 Request a quote to know price benefits that can be availed on bulk orders of these customized 3.25 x 3.125 paw shaped full color dog wildlife care magnets – 20 MIL.